My old bag died the other day and I needed to jump into action and make a new one quick. Not something on my to-do list for this week, or even this month, but my old one was getting pretty grungy and sad looking. Fortunately, I live within walking distance of a fabric remnant store and they had some really great designer home decor fabric in small pieces. 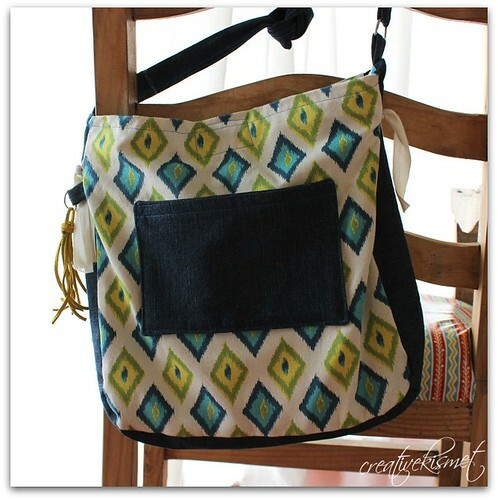 I love the colors of this ikat pattern. Perfect colors for spring! I like to wing it with my own pattern on-the-fly. It has a magnet snap closure and is super easy to get in and out of. I made it a little bigger than I had planned, but with being a mom and all, that’s always a good thing. 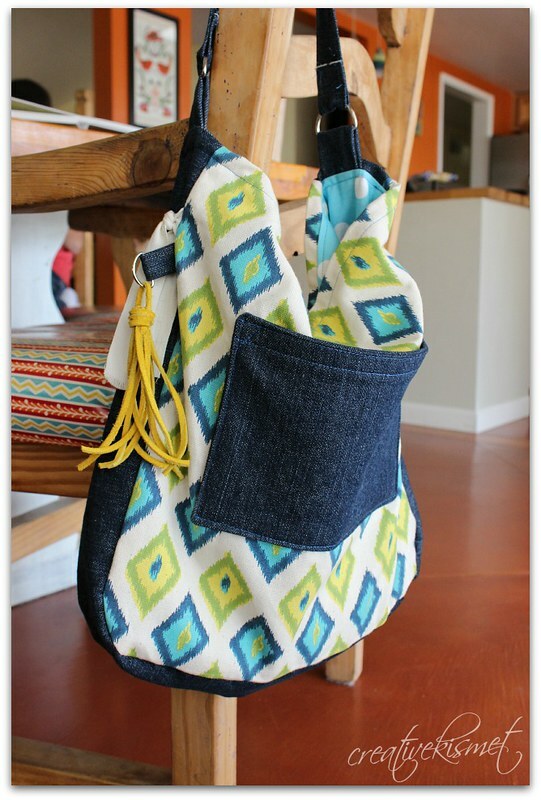 This entry was posted in i make stuff, Sewing. Bookmark the permalink. It’s really cute, I LOVE the polka dot lining! Amazed that you made it without a pattern! That’s adorable! Who makes the pattern?